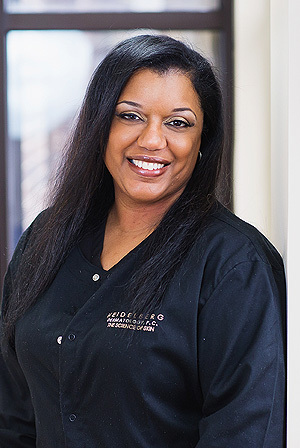 Vanessa Syfax is the Supervising Medical Assistant at Heidelberg Dermatology. She manages the day-to-day operations of the medical and office support staff. Vanesa graduated from Everest Institute with a certification as a Medical Assistant in 2006. She is also a member of the National Healthcare Association (NHA). Her favorite pastimes include reading, dancing, traveling, and spending time with her husband, adult children, family and friends.